Avenged Sevenfold News: Synyster Gates and Zacky Vengeance in "Most Badass Guitarists of All Time"
Synyster Gates and Zacky Vengeance in "Most Badass Guitarists of All Time"
Guitar World compiled a list of "Most 30 Badass Guitarists of All Time", included Synyster Gates and Zacky Vengeance. You can read some excerpts below. You’d be hard-pressed to find a more distinctive guitar tandem in modern metal than Zacky Vengeance (Zachary Baker) and Synyster Gates (Brian Haner, Jr.). 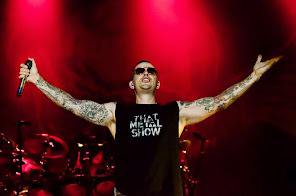 From their sound, to their look, even to their names, the duo routinely go down guitar paths other metal axmen don’t dare travel, spicing up Avenged Sevenfold’s otherwise dark and aggressive attack with, among other things, hooky, major-key melodies, laid-back acoustic picking, buoyant, carnival-esque rhythms and a whole lot of style. 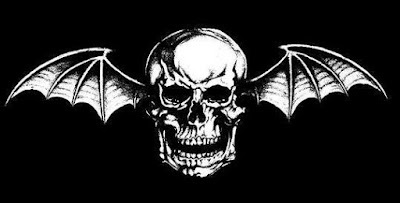 They can also shred like nobody’s business: Though Vengeance largely fills the role of rhythm player while Gates handles the majority of the solos, almost every A7X song finds the two locking up for at least one or two rampaging runs of dual-guitar harmony leads.